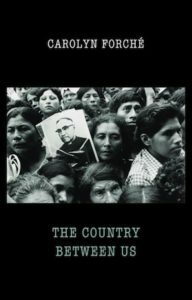 Carolyn Forché’s The Country Between Us bears witness to what she saw in El Salvador in the late 1970s, when she travelled around a country erupting into civil war. Documenting killings and other brutal human rights abuses while working alongside Archbishop Oscar Romero’s church group, she found in her poetry the only possible way to come to terms with what she was experiencing first-hand. Briefly available in Britain from Jonathan Cape in the 1980s, it is now reissued by Bloodaxe to coincide with the publication of Forché’s long-awaited memoir of those times, What You Have Heard Is True: A Memoir of Witness and Resistance, and will be followed by a new collection in 2020, In the Lateness of the World. 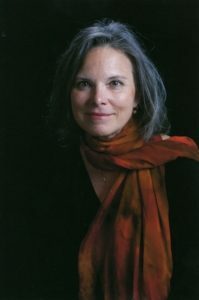 Carolyn Forché is an American poet, editor, translator and activist. She received the Academy of American Poets Fellowship in 2013, and in 2017 became one of the first two poets to receive the Windham-Campbell Prize. 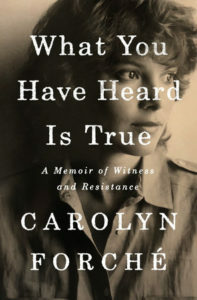 Her memoir What You Have Heard Is True (Allen Lane, £25) tells the powerful story of how she became caught up in the brutality, complexity and idealism of revolutionary El Salvador in the 1970s. The reissued collection The Country Between Us Bloodaxe Books, £9.95) is her poetic response to the same period. At the Bloodaxe link below, you can watch and hear Carolyn Forché reading ‘The Visitor’ and ‘The Colonel, from the DVD anthology In Person: World Poets, filmed & edited by Pamela Robertson-Pearce & Neil Astley (Bloodaxe Books, 2017).